Kidzworld saw Dream Big: Engineering Our World and the creative variety of tasks that engineers accomplish is amazing. Many are lifesaving! Should you see this fun IMAX film? Here is our movie review. We had no idea how creative and fun being an engineer can be! 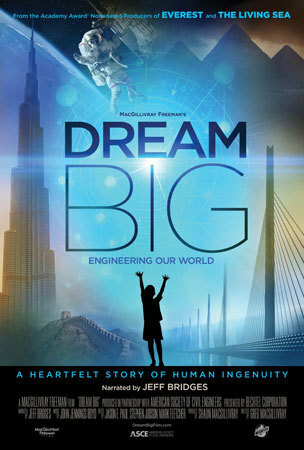 Big screen/IMAX film Dream Big: Engineering Our World, narrated by Oscar-winner Jeff Bridges, really opens our eyes to the fact that engineers are building a safer, more beautiful world and are having a blast doing it! Many of them are women and some even high school students. We open on a space station, designed by engineers and are told that they are working on future problems to keep structures safe for all humanity. We meet female civil engineer Menzer Pehlivan who specializes in making sure buildings are earthquake safe. At age 13, in her native Turkey, she went through a huge quake that made her decide to devote her life to creating buildings that would save lives. Now she does this all over the world and also teaches kids and teens how to create buildings safe from ground shaking and winds. 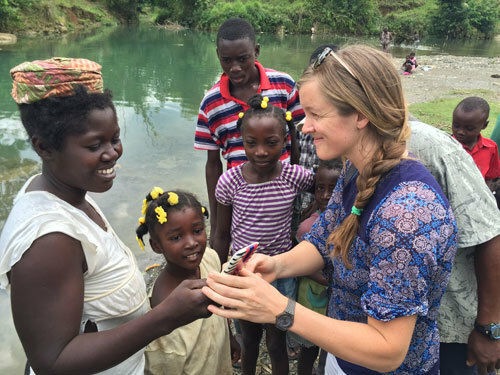 Young engineer Avery Bang builds bridges over rivers in underdeveloped countries saving people from drowning and making their lives much easier. She has built over 200 bridges in 14 countries. 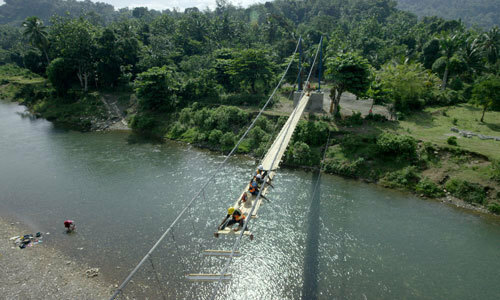 Engineers keep them simple and inexpensive using ropes for suspension cables. Now people can go to schools, health clinics and markets without risking drowning! 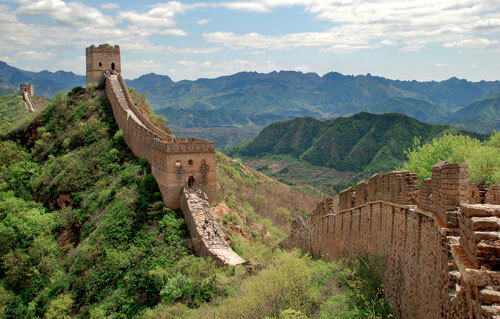 We see the Great Wall of China, an ancient engineering marvel and find out that it stays up partially because the mortar had flexible sticky rice mixed in… who knew? 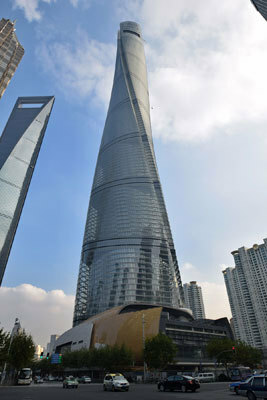 The tall Shanghai Tower is 128 floors high and is built in a twisty fashion so that high winds can just blow around it. Cool. 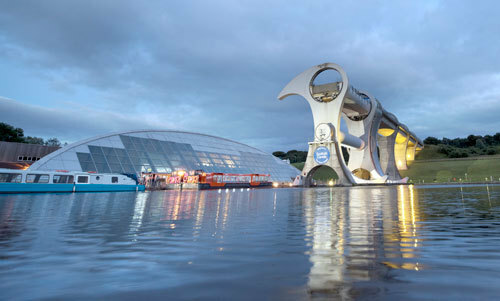 In Scotland moving boats up and over the highlands was really impossible until structural engineers figured out how to build The Falkirk Wheel, a device that can lift them up to the next water level. 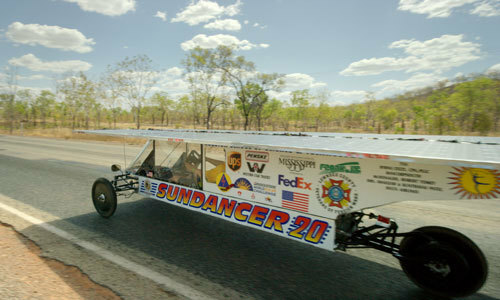 Mississippi students built a solar car and took it to a race in Australia. We visit a solar farm in California where water runs steam turbines. All designed by engineers, both kid and adult. There is a robotics club at a Phoenix, Arizona high school that hasn’t got much money to work with but the kids and teens have a great teacher. One of his students, Angelica Hernandez, grew up to be an engineer and relates how the club, with only $800 worth of parts, built an underwater robot they named Stinky (due to bad-smelling rubber glue they used on him). 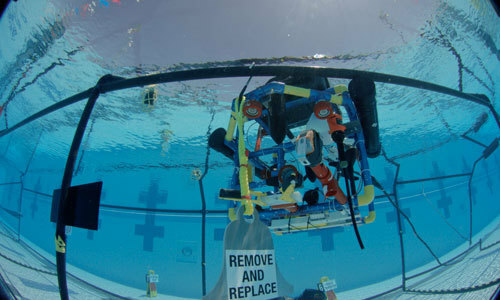 They entered Stinky in a huge underwater robot completion in California where, with creativity, they won against robots created by college students from M.I.T. and Stanford!! Dream Big: Engineering Our World is an entertaining, inspiring, informative and fun film and it looks amazing on big IMAX screens. The movie made me, a journalist, want to be an engineer. From a design on a piece of paper to finished space stations, skyscrapers, bridges, roller coasters and so much more, engineers are changing the planet and many of them are young women. We understand now that you don’t have to be a math and science whiz to become an engineer. This profession requires a lot of vision and creativity! Many of the engineers in the movie had to fight prejudice, didn’t start out with great educations yet ended up creating mind-blowing devices, bridges, cars and buildings that are changing peoples’ lives for the better. Also engineers aren’t cliché nerds as you might think. The ones featured in the film are all very cool. You can really appreciate amazing structures and inventions on a big IMAX screen and you won’t be bored. The film looks and sounds great and is only 42 minutes long. We recommend that everybody see it. Maybe your school could arrange a showing? For the information, inspiration and pure scope of “Dream Big”, we can go 5 stars. See Dream Big: Engineering Our World on large format and IMAX screens February 17th. Were you aware of what various types of engineers really do? Could you create a building that would stand for centuries? Leave us a comment. Where Would You Go on Your Dream Trip? Summer Camp - two weeks away!